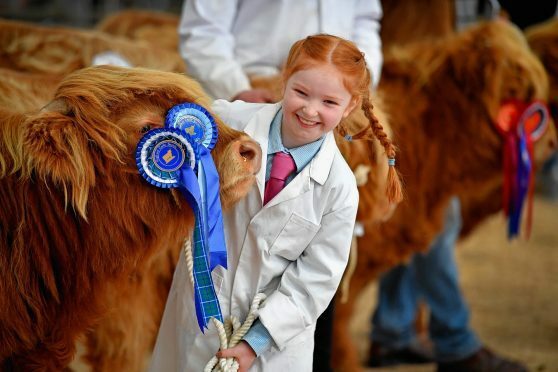 A top price of 3,000gn was achieved twice at the 119th annual show and sale of Highland cattle in Oban yesterday. Buyers from all over the UK and Europe were out in force for the premier sale of mainly females. The first lot at 3,000gn was the first entry in the ring – a three-year-old in-calf heifer from Messrs Brown’s Craigowmill fold at Ledlanet, Kinross. Their fourth-prize winning heifer Ailsa 9th of Craigowmill is by Fear Siridh of Balmoral and out of Ailsa 4th of Craigowmill. 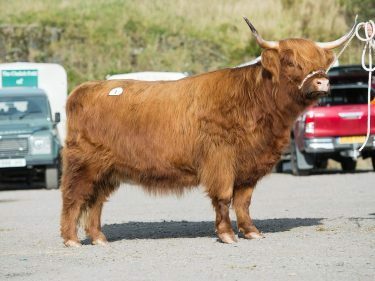 She sold in-calf to An Curaidh of Balmoral to Balnabroich Farm, Strathardle. The second lot at 3,000gn was the reserve senior champion from Karen and Michael Macgregor’s Eilean Mor fold at Port An Aiseig, Glenborrodale, Acaracle, Argyll. A daughter of Domhnuall Buidhe of Glenkinglass and out of Sonasg Og 3rd of Eilean Mor, Raineach of Eilean Mor sold to Alastair Fitzsimon, of Tregallon, Lochfoot, Dumfries. The next best price of 2,200gn was paid three times. First at this price was second-prize winning senior heifer Gruagach 49th of Ormsary from Sir William Lithgow’s Ormsary fold at Ormsary Estate, Lochgilphead. Gruagach 49th of Ormsary, by Callum 2nd of Goldenberry and out of Gruagach 32nd of Ormsary, sold to Messrs Halm from Germany. She is due to calve to Ruaridh of Inver at the end of March. Her stable mate – Susan 20th of Ormsary – was crowned overall champion in the pre-sale show. By the same sire and also in-calf to Ruaridh of Inver, she sold for 2,000gn to Messrs Steinberg from Germany. Meanwhile, the second lot at 2,200gn was April-2013 born Iseabal 20th of Carsaig from Lady Lithgow at Ormsary Estate. By Callum 2nd of Goldenberry and due to Ruaridh of Inver, she also sold to Germany. The last lot at 2,200gn was another entry from Messrs Brown – Bean Bhuidhe 6th of Craigowmill. 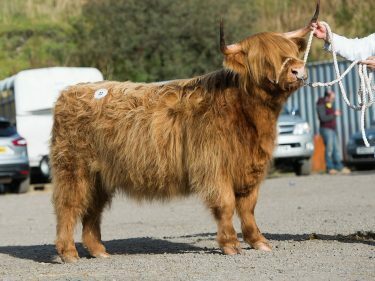 By Fear Siridh of Balmoral, she sold in-calf to Eilean Dubh 2nd of Craigowmill. The buyer was also Messrs Halm. Other leading prices included 2,000gn for the overall reserve champion from Ronald and Frances Fergie’s Knockendon fold at Dalry.